April 22, 2018 – Scientists from the Hebrew University of Jerusalem generated an atlas of the human genome using a state-of-the-art gene editing technology and human embryonic stem cells, illuminating the roles that our genes play in health and disease. The scientists reported their findings in the journal Nature Cell Biology. Embryonic stem cells are a unique resource as they can turn into any adult cell in our bodies. Their versatile nature puts them at the center of attention in the fields of regenerative medicine, disease modeling, and drug discovery. In parallel to the discovery of human embryonic stem cells, another milestone in biology was completed with the sequencing of the human genome, and the identification of the entire set of genes responsible for our genetic identity. This finding has led to a new challenge of understanding the function of the genes in the human genome. Now, the new study by scientists at the Hebrew University provides a novel tool to map the function of all human genes using human embryonic stem cells. The researchers analyzed virtually all human genes in the human genome by generating more than 180,000 distinct mutations. To produce such a vast array of mutations, they combined a sophisticated gene-editing technology (CRISPR–Cas9 screening) with a new type of embryonic stem cells that were recently isolated by the same research group. This new type of stem cells harbors only a single copy of the human genome, instead of two copies from the mother and father, making gene editing easier thanks to the need of mutating only one copy for each gene (see: Scientists generate a new type of human stem cell that has half a genome, March 17, 2016). “This gene atlas enables a new functional view on how we study the human genome and provides a tool that will change the fashion by which we analyze and treat cancer and genetic disorders,” said Professor Nissim Benvenisty, M.D., Ph.D., Director of the Azrieli Center for Stem Cells and Genetic Research and the Herbert Cohn Chair in Cancer Research at the Hebrew University of Jerusalem, and the senior author of the study. 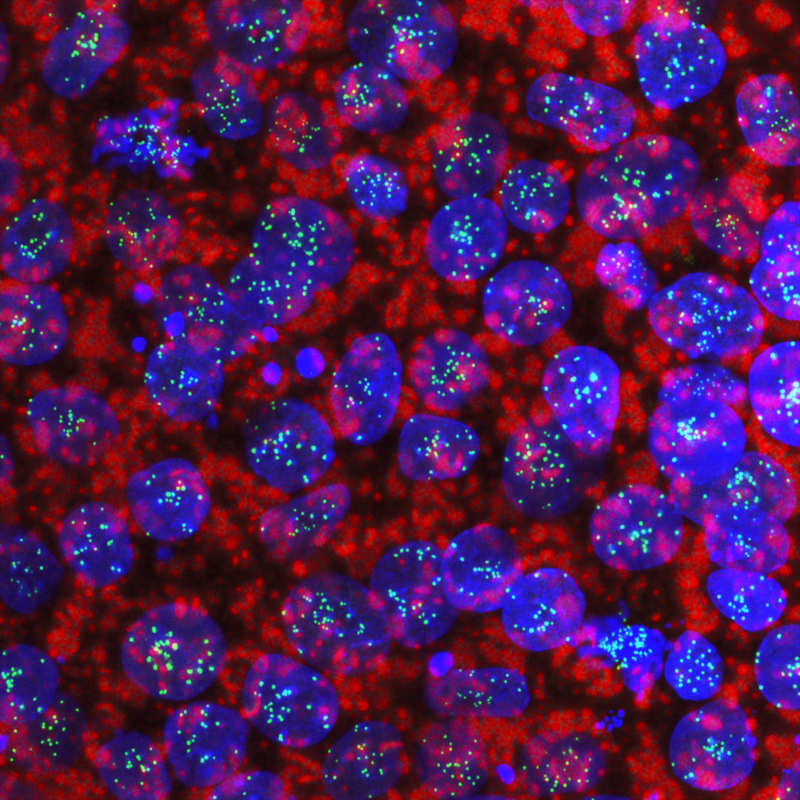 The paper is titled Defining essential genes for human pluripotent stem cells by CRISPR-Cas9 screening in haploid cells and published in Nature Cell Biology. The research was led by Nissim Benvenisty, MD, Ph.D., Atilgan Yilmaz, Ph.D. and Motti Peretz, the Azrieli Center for Stem Cells and Genetic Research, the Hebrew University, Jerusalem. Additional authors include Aviram Aharony and Ido Sagi also of the Hebrew University. The research was supported by Israel Science Foundation, US-Israel Binational Science Foundation and most generously by the Azrieli Foundation. CITATION: Defining essential genes for human pluripotent stem cells by CRISPR–Cas9 screening in haploid cells. Atilgan Yilmaz, Mordecai Peretz, Aviram Aharony, Ido Sagi, and Nissim Benvenisty. Nature Cell Biology (2018), doi:10.1038/s41556-018-0088-1.